When comes to the Chinese Spring festival, most of the people must be very excited.The main reason is that we have a long holiday, especially that we have so many kinds of food to eat and a various of decors to purchase. What a really lucky dog if you are in Yiwu market during the 7th to 18th Jan. Why? 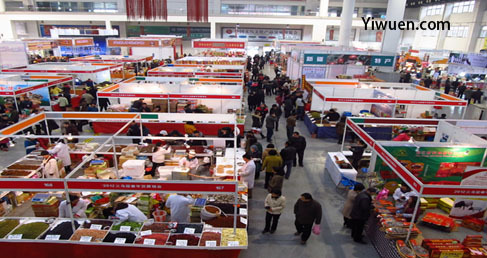 Cause the Yiwu Exhibition For Spring Festival shopping is ongoing. The first thing to mention is that the foodstuffs. There are Thousands of products come from the hundreds of well-known brand enterprises. For instance, the wine, Chinese tea, meat, honey and so forth. Secondly, the organic foods are also very eye-catching. In this area, you can chose the specialty food from all of the country. Thirdly, the clothing part. New cashmere sweater, fur clothing, down coat came from Beijing, Ningbo, Hangzhou etc. The clothing is high quality and reasonable price. 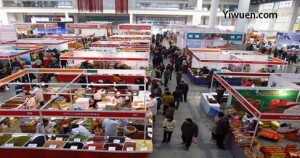 Of cause there is another shopping place you can visite-Huangyuan market. Last but not the least, the Exhibition for Spring Festival Shopping organizer will always prepare some big surprise gifts for the Yiwu wast consumers. For example, the free snacks, exceptional price for certain items and some gifts even for free.